[Robert Glaser] kept all his projects, all of them, from the 1960s to now. What results is a collection so pure we feel an historian should stop by his house, if anything, to investigate the long-term effects of the knack. He starts with an opaque projector he built in the third grade, which puts it at 1963. Next is an, “idiot box,” which looks suspiciously like “the Internet”, but is actually a few relaxation oscillators lighting up neon bulbs. After that, the condition really sets in, but luckily he’s gone as far as to catalog them all chronologically. We especially enjoyed the computer projects. It starts with his experiences with punch cards in high school. He would hand-write his code and then give it to the punch card ladies who would punch them out. Once a week, a school-bus would take the class to the county’s computer, and they’d get to run their code. In university he got to experience the onset of UNIX, C, and even used an analog computer for actual work. There’s so much to read, and it’s all good. There’s a section on Ham radio, and a very interesting section on the start-up and eventual demise of a telecom business. Thanks to reader, [Itay Ramot], for the tip! The story for permanent storage for computers begins with the Jacquard loom. Hackaday commenters that are less clever than a Wikipedia article may argue that it was the earlier Bouchon and de Vaucanson looms, but either way we owe permanent storage methods to loom designers. So the story goes that punched cards for weaving brocades and damask patterns in cloth turned into punched cards for tabulating a census, calculating artillery trajectories, and ends with hundreds of gigabytes of storage in a thumbnail-sized micro SD card. This story glosses over one important fact. The automated looms of the 17th century were simply a way to make a manufacturing process faster. These automated looms were the forebears of numerically controlled machine tools. These machines, first a lathe, followed by mills and all sorts of metalworking tools, first appearing in the 1950s, used punched tape to store the commands required to mill a part out of metal. Just like the SD card on a modern 3D printer. For [will.stevens’] Hackaday Prize entry, he’s going back to the roots of automated manufacturing and building a punched card reader for his 3D printer. Is the idea sound? Yes. Is it going to be easy? No, [will] is creating his punched card reader on his 3D printer. It’s the ultimate expression of the RepRap philosophy of self-replication, and an interesting engineering challenge, too. 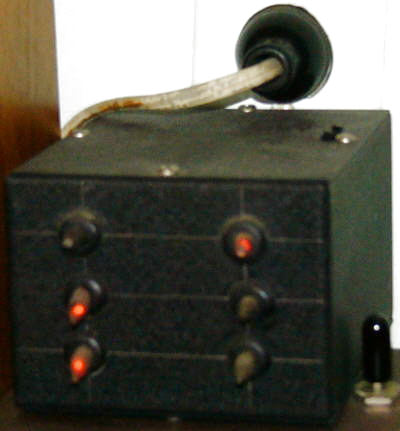 [will]’s idea for a punch card print controller uses relays. It’s a simple control system that encodes the individual steps for the X and Y axes, along with a length of a line. This printer won’t be able to create lines that go in every direction, instead, there are only 48 possible angles this printer can use out of 360 degrees. At large scales, prints and plots will have the jaggies, but at smaller scales, this control system will be able to print something resembling a circle. [will] has a PDF of his proposed control system, and he’s already hard at work creating the 3D printed relays and solenoids. [will]’s goal for this year’s Hackaday Prize is to create a 2D plotter – just one axis short of a 3D printer, and he’s well on his way to printing off his own punched cards.